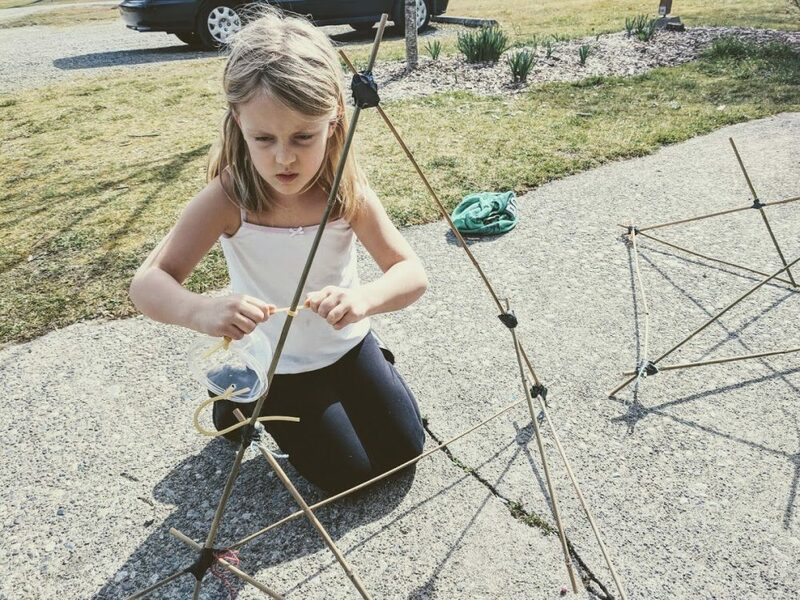 How to engineer a giant catapult using sticks, twine, and tape. Engineering and design requires us to think about how things can connect together, and discover new, stronger methods of doing such if needed. Summer is a great time for outdoor engineering projects. I love this summer science project because it combines the skill of making and tinkering with creating a huge catapult that can then be used to launch water balloons! I got this idea from Science Sparks and tried it out in one of my day camps on Bainbridge Island. 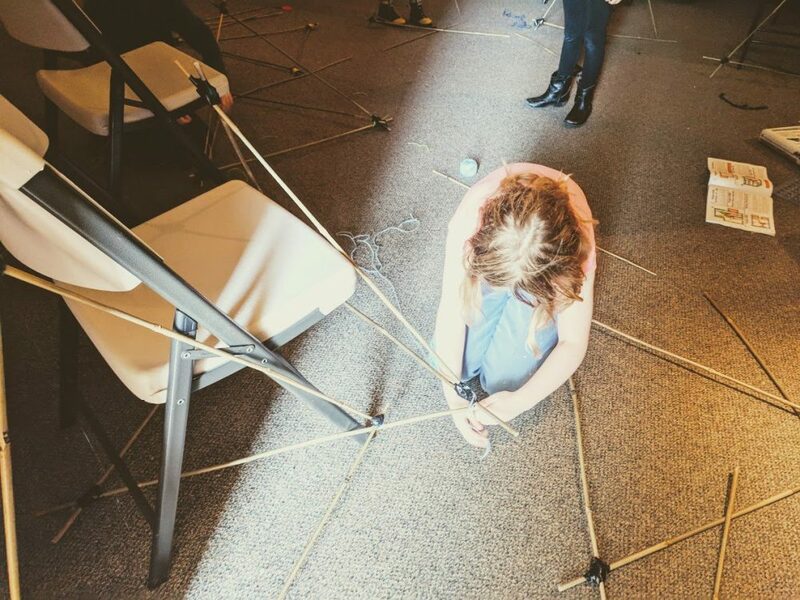 I had 10 kids with an age range from Kindergarten to 4th grade - everyone left with a working catapult at the end of our 3-hour session. Campers got to build, test, and play with their giant catapults, which ended in World War 3 happening at our local park. Seriously, there were teams, recon missions for tennis balls, lots of shouting, and a ton of running around laughing. Ready to get started with the ultimate water ballo0n thrower for summer science fun? Below are a few simple steps that will get you up and running in about an hour, less if the adult is doing most of the work – but what is the fun in that? This is a project that even little hands are perfectly capable of doing, so parents should take as much of a backseat as possible. 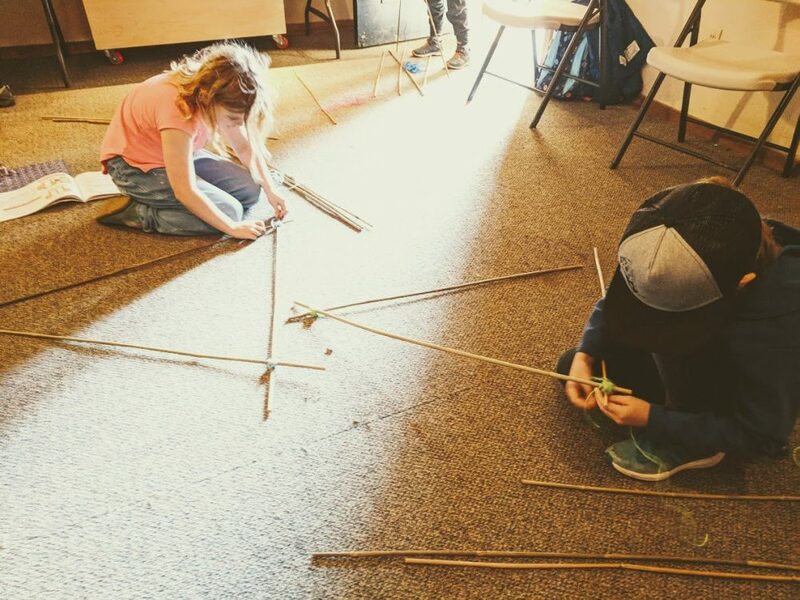 The first step is to build a triangle out of three of the bamboo sticks. You can use this as a moment to teach about knots if you would like. Kids can practice different types of lashing, or just wrap the twine around in a random order. Just make sure they have enough twine per joint and they are wrapping the string in a variety of patterns if you opt for the later. With little hands and a decent sized class, I let kids lash their sticks together in any sort of random pattern. Once a joint is lashed with twine and knotted as tightly as possible, you can take a few feet of electrical tape and wrap it tightly around the joint over the twine as well. I found that using the combination of twine and tape worked really well to create a strong joint. We also tried injecting hot glue into the twine after it was wrapped but found it was not as strong. You can certainly ask your kids if they have ideas on strengthening their tie points! Once you have your first triangle secured you can begin building the second triangle. The two triangles will share a base and together will create a sort of beak, or a pyramid without one side. 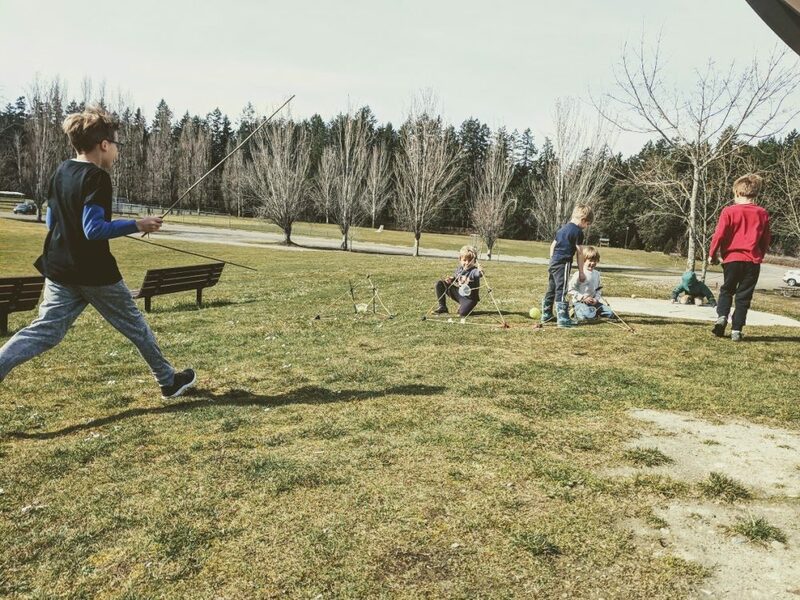 To do this I first had kids lash together two new sticks in a V shape. They then took the ends of the V and lashed each end to different points of the original triangle they made. To help the catapult create a 3-dimensional structure we propped the V up on a chair as we lashed the two endpoints together. Cut a single bamboo stick in half. Then lash it between the two triangles you just finished tying together. This is additional support that helps your giant catapult maintain its structure as you pull back on the slingshot elastic. The people over at Science Sparks used three pieces of slingshot elastic on their giant catapult. I don’t know if this works better or not, but we got away with using only two foot long sections on our projects. Maybe the third piece helps propel the tennis ball farther, or maybe it helps the stability of the release – it is certainly something you can test! 4. Add your cup and take aim! The last thing you need to do to finish off your giant catapult is to add a cup! We used a knife to create holes in the sides of a round Tupperware, which we then tied the slingshot elastic through. Once you’re finished you can start testing! Feel free to modify, edit, and improve the design to create a giant catapult that works for you!